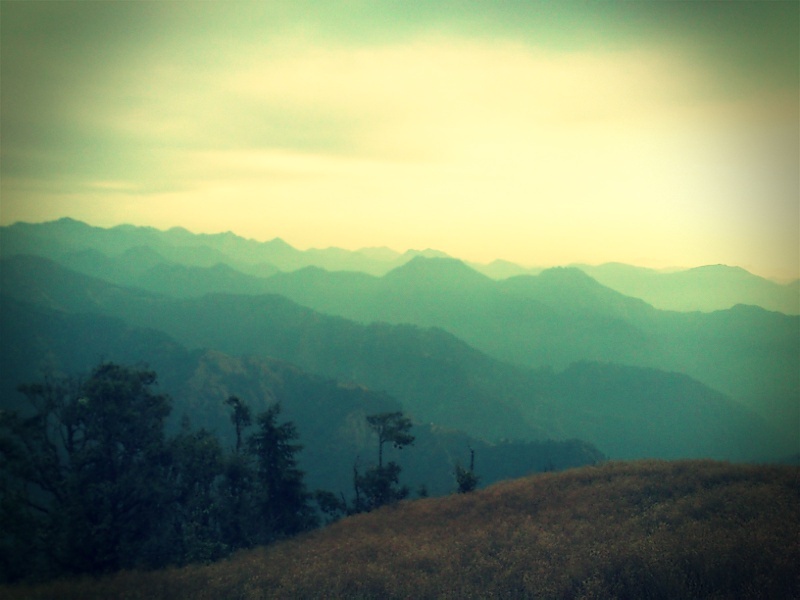 Pari Tibba or the Witch’s Hill, is my favourite part of Mussorie, India. Away from the hustle bustle of the Queen of Hills, Pari Tibba is a haven for all those who are looking for complete solitude (and also a chance to witness the best of Mussorie Ridge). I was first introduced to this place by Ruskin Bond, who has mentioned this magical land in many of his stories. Hence, I decided to explore it. In this article, I’ll tell you how to trek to Pari Tibba. Actually, it is more of a stroll rather than a trek, for this region can be covered within a few hours on foot. And once you conquer the top of the hill, the sight is truly spectacular. After having a light breakfast (Try ‘Lovely Omelette’ at the eastern end of the Mall) head towards the Woodstock School. You’ll pass through the famous Landour Bazaar (Old Mussorie) which is quite an experience in its own way . Woodstock lies at a distance of 3 km from here. The Pari Tibba trail starts from here. As mentioned above, it is a simple enough trek which can be completed in a few hours. From the main gate of the Woodstock School, take the side road which descends towards the hostel building of Woodstock. A cemented trail emanates from the back of this hostel. Follow this trail which will lead you towards Dhobi Ghat Village in a few minutes. A quick tip: Stay away from the dogs of this village! Moving on, from here it is a gentle ascent for around two kilometres. The track bifurcates after a while and you need to take the path going right. En route, you might also notice the ruins of old British houses which were abandoned by their owners due to constant lightning hits(Hence the name– Witch’s Hill). A steep ascent during the last stretch of the trail leads you directly to the top a small but beautiful hill. A small temple near a clearing let’s you know that you’ve arrived. Pari Tibba is a great picnic spot. It has some of the most deliciously breathtaking views of the Himalayas. After spending a considerable amount of time extolling the beauty of this wonder, you can descend down the same path and retrace your steps till Woodstock. If time permits, you have the option to cover the Lal Tibba region of Mussorie. Or maybe someplace else. You’re never short of options at Mussorie. I’ve never heard of this, but it sounds magical! This hill has a high tendency to attract lightening crashes. The locals believe it to be haunted. Hence the name Witch’s Hill.